Loxley Common (possible) stone circle. If your heading for the site from Buxton, Arbor Low is well signposted from the A515, if your heading through Bakewell the best route is as follows as you'll only have to use one road all the way there. From Bakewell you need to take the A6 Matlock option from the little roundabout but immediately turn right, when i say immediately i mean within a couple of metres of leaving the roundabout, this is King street, the B5055 for Monyash. Take the road uphill past the shops and take the first left, Butts road. You need to stay on this road for several kilometres following it through the winding sections as you cross the river Lathkill where it becomes first Shutts lane then Back lane, you'll than pass a turning for Youlgreave where the road becomes Long Rake, just stay on it till you pass a couple of quarry factories and you'll eventually see the signs for the henge by Upper Oldhams farm, drive up the to the farm car park where parking for the henge is free, though there is an entry fee to the site itself, at the moment it's £1 which should be placed in the tin by the farmhouse. 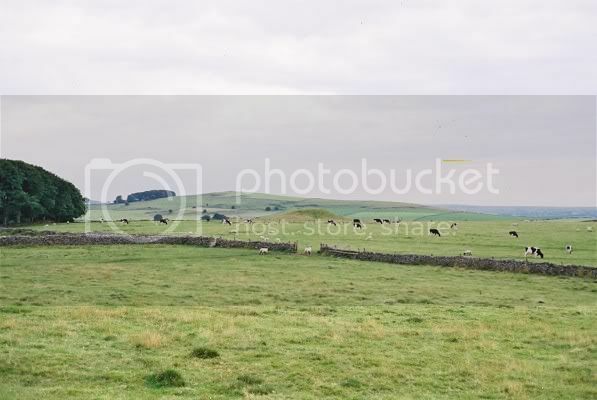 Walk up through the farmyard to the gate, go through it and turn left, follow the path uphill a short way and after climbing the stile at the wall you'll see the henge. 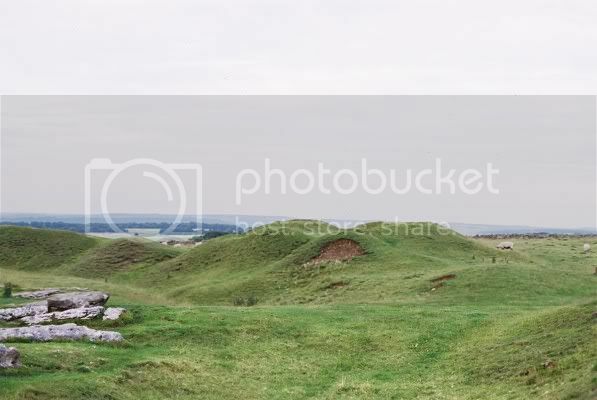 Ask anyone to name an historic monument located in Derbyshire and they'll say Arbor Low. "The Stonehenge of the North" as it's often called is one of the most important megalithic sites in this part of the North and in it's class is unrivalled in the area. 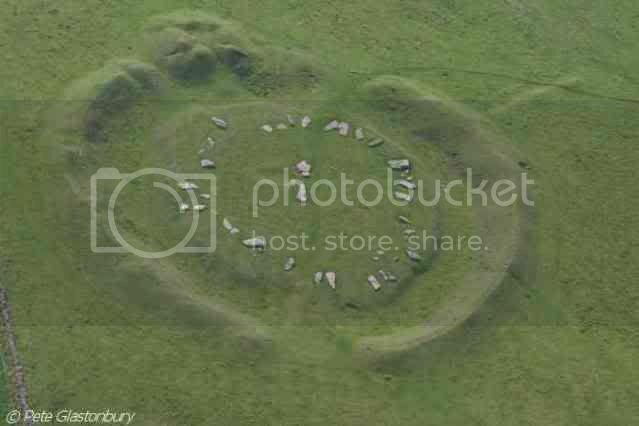 The henge probably dates from the late neolithic otherwise known as "the late stone age" and consists of an oval bank and ditch containing a circle of somewhere between 40 - 50 now recumbent (fallen) megaliths which when upright would have stood up to 3 metres tall. Uniquely for Derbyshire and due to it's local availability the stones are of limestone and that's probably one factor as to why they are no longer upright, limestone unlike the more familiar sandstone of the other monuments of Derbyshire being more susceptible to erosion by rain which could have caused the stones bases to "rot" away causing them to fall, looking at the stones today you'll notice the deep pits and cracks showing the stone is very susceptible to weathering. Another often cited reason is early Christians or village folk toppling the stones for fear of what they represent whilst others suggest the stones may never have stood citing evidence of a lack of any visible pits which the stones would have stood in. In it's prime the bank of the henge around 75 metres in diameter and up to 9 metres wide would have stood up to 3 metres high, the ditch around the same depth making an overall top of bank to bottom of ditch height of 6 metres, today the bank stands around 2 metres proud of the surrounding land and the ditch in places now only around a metre deep. Another important feature of the henge is the arrangement of stones known as the "cove" this is a very rare arrangements of stones within the circle best described to the layman as a stone booth with two side stones and a back stone which is thought to have been the main focus of any ceremonies taking place there, you could for ease of description compare it with the altar of a modern church. The bank has two openings, both having causeways, bridges of earth leading to the central raised area, one to the SSW around 6 metres wide and another to the NW around 9 metres wide, it's not really known what there use was though some suggest one would have been an entrance, the other an exit with them being use for ceremonial processions. In later times a Barrow was added to the Eastern part of the bank, this is still one of the main noticeable features of the henge today though due to excavations the barrow now has a large pit in it's centre where a human cremation was found along with a collection of grave goods which are now in the Sheffield city museum. 300 metres to the SSW of Arbor Low stands Gib hill a Neolithic "late stone age" long barrow with a later bronze age round barrow built on top of it, during various excavations over the years finds have included pieces of flint one of which was an arrowhead, cremated human bones, a food vessel, a iron brooch and even Roman coins, some of the finds were contained within a cist, in laymans terms a stone coffin. Aerial image courtesy of Pete Glastonbury. The later barrow built on the bank of the henge.